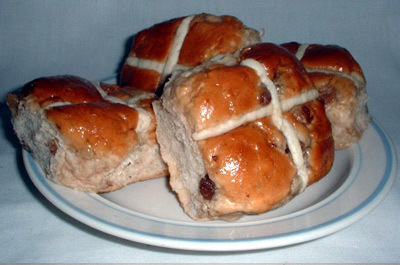 These buns are famous in Easter time. They are sweet spiced bun made with raisins. It has a cross on the top to symbolise the crucifixion. The word Easter comes from the Norsemen’s Eostur, Eastar, Ostara, and Ostar, and the pagan goddess Eostre, all of which involve the season of the growing sun and new birth. Feeling bored working and typing on Microsoft Office Word? Try the following easy steps to discover one of the easter eggs hidden in Microsoft Word. Easter eggs in computing world are messages, graphics, sound effects, or an unusual change in program behavior that occur in a program in response to some undocumented set of commands, mouse clicks, keystrokes or other stimuli intended as a joke or to display program credits.